Oval Cut Sapphire Engagement Ring with Accents - 14k White Gold was added to your cart. With a center stone as big as her loving heart, this Sapphire engagement ring is perfect for your fiance-to-be! 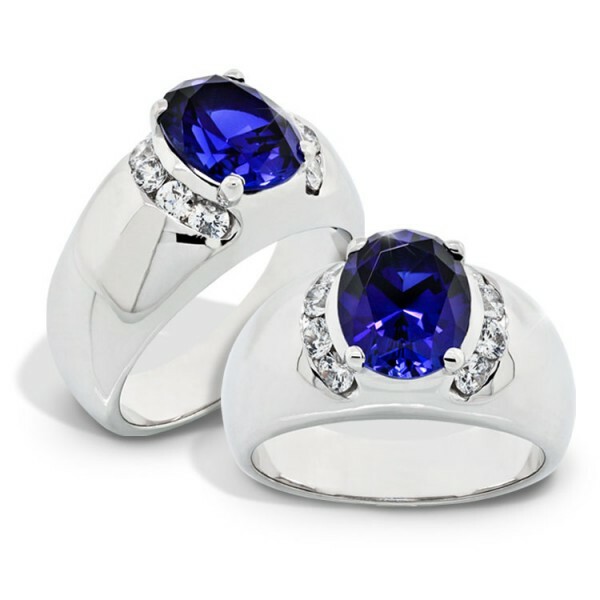 The 2.54 carat Oval cut lab-created Sapphire stands out beautifully in this 14k white gold setting and shimmering accents.